Some Gateway laptops have a dedicated Bluetooth button integrated into the keyboard. If yours does, press that button to turn Bluetooth on and off. 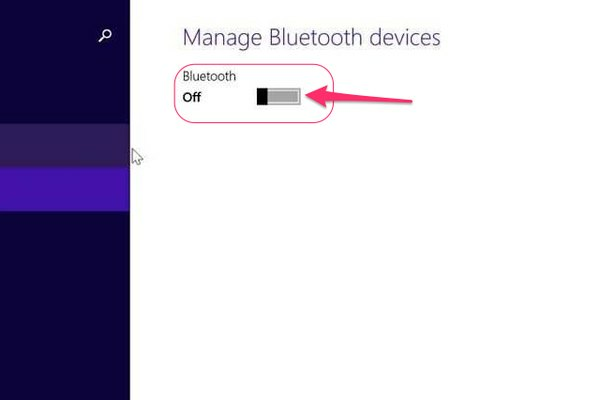 If yours does not, use the Windows 8 Bluetooth settings panel to enable Bluetooth and pair the laptop with external devices. Install a USB dongle to add Bluetooth functionality to Gateway laptops that don't have built-in Bluetooth. Return to the Windows Start screen on your Gateway laptop, press Ctrl-C to open the Charms menu and then click the Settings icon. Click PC Settings, choose PC & Devices and then select Bluetooth to open the laptop's Bluetooth settings panel. Click the Bluetooth switch to toggle it to the On position in order to activate Bluetooth functionality. 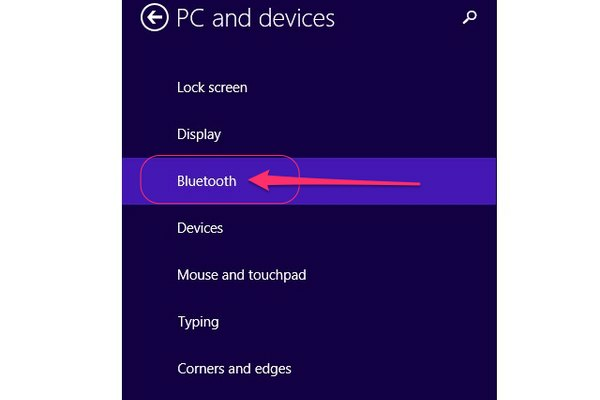 After you've activated Bluetooth on your Gateway laptop, you'r ready to pair the computer with other Bluetooth-capable devices. Pairing is performed via the Bluetooth settings screen. Your computer automatically scans for Bluetooth devices within range after you toggle the Bluetooth switch to the On position. Set your external Bluetooth devices to discoverable so that your laptop can find them. Open the Bluetooth settings screen on your Gateway laptop, and select the Bluetooth device with which you want to pair your laptop. Click the associated Pair button and then click Pair, Yes or OK to confirm the pairing request, if prompted. 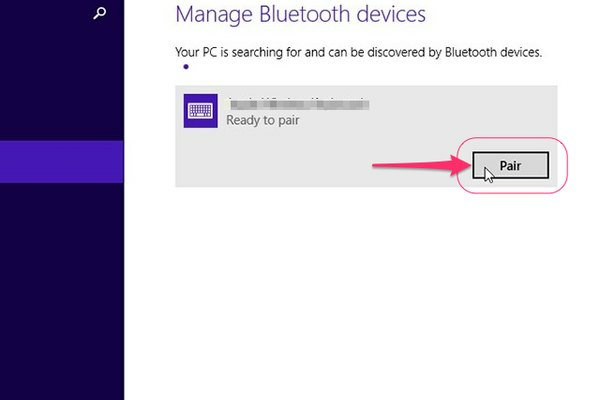 Depending on the device you're attempting to pair, you may have to confirm the pairing request on the device as well. Enter the device's pairing code, if prompted. Consult the device's manual for more information on its pairing code. If you don't have the manual, try entering 1234 or 0000. These are two of the most common pairing codes used by Bluetooth devices. Different devices require you to confirm pairing requests in different ways. If you're attempting to pair with an iPhone or iPad, for instance, both the iPhone and your laptop display a code that you must compare in order to verify that they are the same. Depending on the age of your Gateway laptop, it may not have onboard Bluetooth capabilities. If you're unsure whether yours does, press Windows-X on your keyboard and select Device Manager. Look for a Bluetooth Radio section on the main menu. If it's not listed, expand the Network Adapters section and look for a Bluetooth listing there. If Bluetooth isn't listed in either location, you need to install a USB Bluetooth dongle. These are small devices that you plug directly into a USB port on your laptop. Once installed, you can pair external devices as outlined above. 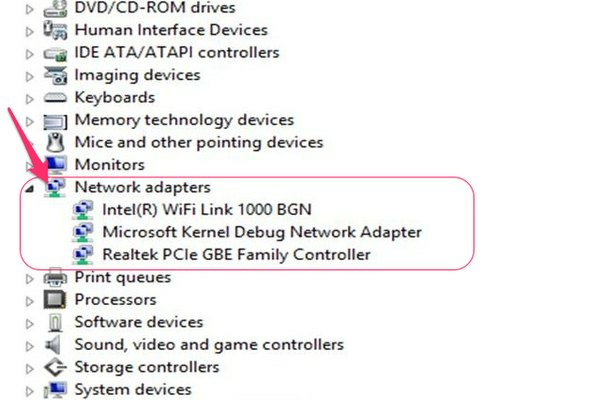 Windows: Where is Device Manager?